It is a new year for technology and certain cloud computing trends are already beginning to develop that could give an indication of what to expect for the next 12 months. 2014 can be a big year for cloud computing as more organizations than ever are shifting into the cloud and the technology is gradually becoming more of a mainstream option. As people grow more familiar with the cloud, the trends in cloud computing adoption will shift and consumers will become more knowledgeable as clients. The coming year will see cloud computing move toward becoming the default IT choice for all tech savvy businesses. 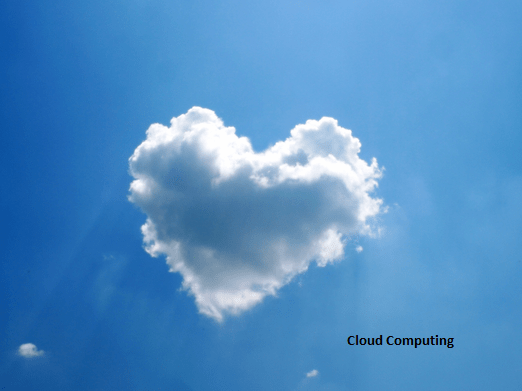 Several years ago, cloud computing was somewhat controversial as a concept and plenty of people were reluctant to get involved in something they thought was insecure and not yet proven to be effective. Any objections against cloud computing have been reduced significantly over the years and in 2014 they will continue to shrink until there are few if any arguments opposing the technology. One of the main arguments against cloud computing in the past was issues of security but in recent years the cloud as proven itself to be completely secure and this point no longer holds much weight. Businesses are beginning to realize that they must embrace the cloud in order to stay relevant and that security in the cloud is not an issue anymore. The growing importance of the cloud will mean more consumers educating themselves on different types of clouds and understanding which works best for them. This could mean that the cloud becomes more segmented as consumers figure out which workloads are best for different clouds. Companies will have a better idea of whether their workload can handle using a public cloud or if they need their own private cloud to accomplish their goals. As the cloud becomes more familiar territory it is likely to see even more innovation in 2014 as people realize how they can create new kinds of applications using cloud computing. The year can see exciting changes in the development of cloud applications that can make new things possible that never could have existed before. Application developers are likely to become more important as they release more interesting and useful applications. As trends have already begun to show, the cloud has the power to democratize the procurement of important software. Smaller companies that never would have had access to the software and applications provided by the cloud now have the opportunity to compete with larger businesses that have always been able to use that type of technology. This kind of democratization is likely to continue and even grow more prevalent in 2014 as anyone can use the cloud to put an application on the internet without a backend infrastructure. This year is going to see more innovative applications created in the cloud by smaller companies and big companies alike. The cloud is going to move to the forefront of technology as more people move past their concerns to use cloud computing to its full advantage. Resource Box: Leo Hart has spent years configuring physical and virtual servers and is currently focused on dedicated virtual servers for Custom Cloud. I essentially moved to the cloud over the past year. This is so true! At present, cloud computing is really very essential for every type of business.